In English it is almost impossible to determine the correct pronunciation of a word based on spelling alone. However, Spanish letters and letter combinations are almost always pronounced the same way. This makes Spanish pronunciation relatively simple to replicate once you master some the basic rules and a few the unique sounds. As an initial exercise, it is useful to examine the difference in pronunciation of certain Spanish words that are similar in form to words in English. Consider the list below. Although these words may seem familiar, their Spanish pronunciation is quite different, and you are liable to make serious mistakes if you attempt to pronounce them in the English-sounding way. Note that in the list below we have placed an accent mark (´) to indicate a stressed vowel, even though this does not occur in normal Spanish spelling of these words. Also note that the English words given are not always translations of the Spanish; they are simply used to represent the English word the Spanish word might remind you of. The Spanish alphabet, or abecedario, is similar to the English alphabet, with the addition of a few letters that are unique to Spanish. In later sections, we’ll take a full examination of the range of sounds that each letter makes as part of word. In this section we simply review the name of and pronunciation of each of the letters themselves. Watch the following video and repeat the name of each letter as prompted. • W becomes uve doble instead of doble ve. • Y becomes ye instead of i griega Although these differences are relatively minor, you should be aware of both versions. The last exercise introduced you to the names of each of the letters in Spanish. The Pronunciation Key below describes the sounds that each individual letter makes as part of a word. We will cover the sounds of that each letter makes in greater detail in the individual sections on Spanish vowels and Spanish consonants. For now, you should review the Pronunciation Key only to familiarize yourself with the basic pronunciation of each letter. Note: This chart is only partially reproduced here. We recommend reviewing the complete Spanish Pronunciation Key with audio here. b,v beh The letters b and v sound the same in Spanish. When found at the beginning of a word or following a consonant, they both make a sound like the English b in “ball”: and When found in the middle or end of word, they make a softer sound that falls somewhere in between the English b and v sounds. c seh Usually sounds like c in cartwheel. Before e or i, it makes an s sound. h hache In general, the h is silent. i i Sounds like the i in machine. Before vowels a, e, and o, it forms a “y” sound. j jota Sounds like an English h sound but a bit stronger. k kah Like the k in English. n ene Sounds like an English n.
p peh Sounds like an English p, but slightly softer. q koo Sounds like a k; always followed by a silent u.
r ere Pronounced with a strong trill when at the beginning of a word or and following an l, n, or s; medium trill in other positions, and very little trill when at the end of a word. rr ere Strongly rolled r sound. s ese Just like the English s.
t te Very close to the English t but softer, the tongue touches the teeth and there is no explosion of breath after moving the tongue away. w doble veh The letter w is somewhat rare in Spanish and mostly used for foreign words. When it appears, it usually makes the same sound as the English w.
y y griega Usually sounds like the y in “yes” In many countries, y is pronounced with a soft j sound. Although English and Spanish share the same set of vowels (a-e-i-o-u) the pronunciation of vowels in Spanish differs somewhat from their English counterparts. The first difference is that Spanish vowels do not have the same variation in sounds as is found in English (consider the difference between the i “give” vs. “alive”, or the e in “be” vs. “get”). In Spanish vowels are always pronounced the same way. The other major difference is that Spanish vowels tend to be much shorter in length than their English counterparts. English speakers frequently import the elongated English vowels into Spanish, resulting in a tell-tale gringo accent that sounds something like a “southern drawl.” The exercises below illustrate the differences between English vowel sounds and the shorter Spanish vowels. For words ending in a vowel, or n or s, the second to last syllable is stressed. For words ending in a consonant other than n or s, the stress falls on the last syllable. If the word has an accent mark, then that syllable is stressed, ignoring the rules above. The following exercises are arranged according to the number of syllables and placement of stress. You should attempt to carefully emulate the pronunciation of words in the audio files, paying close attention to the stress patterns used by native speakers. Until you can complete these exercises with proper stress, you cannot expect to progress and pronounce complex sentences successfully. 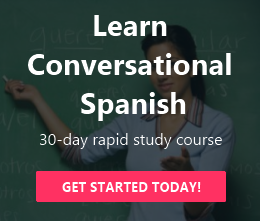 To assist you with these exercises, we have placed an accent mark over the stressed vowel–please note that this is not always the case in the proper Spanish spelling of each word. In the section on Spanish vowels, we noted that where Spanish vowels retain their full pronunciation even under weak stress, English vowels often become indistinguishable from each other. The issue with Spanish consonants is somewhat the opposite. While pronunciation of consonants in English tends to be very crisp and distinct, Spanish consonants, particularly d, b, v, l, and s are often pronounced softly and sound somewhat “muddled” by English standards. The major exception to this is the r sound which is much harder in Spanish are is frequently pronounced with are hard trill. The remainder of this section covers the Spanish consonants most likely to trip up native English speakers. The problem that arises from Dd is that is has two varieties of pronunciation which are, from the point of view of English speakers, actually different sounds; but from the point of view of Spanish speakers are one and the same sound. The first sound of the letter d is the “d” sound of English den, do, die, dare, etc., but the tip of the tongue actually touches the back side of the upper teeth when this sound is produced in Spanish, whereas in English it touches somewhat further back toward the roof of the mouth. The other sound of d is much like the “th” sound of English then, thee, the, those, that, there, etc., or the middle sound of mother, other, father, etc., or the final sound of lathe, bathe. This sound must be distinguished carefully, however, from the other sound which English writes with th, the initial sound of thin, thick, thistle, or the middle sound of ether, Ethel, or the final sound of bath. This sound is used only by Spanish speakers from central Spain (around Madrid, it’s called the madrileño dialect). It has no relationship to the “th” sound of d we’ll be working with here. The problem with b and v is similar to that of d, but compounded by the fact that two different symbols are used for the same sound in Spanish, both of which exist in English and have very different sounds. To Spanish speakers there is no difference; one of the most common spelling errors native Spanish speakers make is confusing b for v and vice versa. The first of these sounds is almost the same as the initial sound of English words like bee, bill, buy, borrow;the middle sound in baby, tabby, tubby; and the final sound in tub, hub, rub. We call it the “hard b”. The second is a sound that does not exist in English. It is produced by bringing the lips close together, but not allowing them to touch, so that the air passes through them with a slight friction noise. The result, to English-speaker ears, sounds like a mixture of b, v, and w. The easiest way to learn to produce it is to start out as though you’re going to say the hard “b” described above, but not allow the lips to touch so that the resulting sound is something like a v. This is called the “soft b”. Remember, though, that it is not the English “v” sound–that sound doesn’t exist in Spanish. Making a mistake with b and v is not as serious as with the two “d” sounds, but errors can lead to misunderstandings and will emphasize that you’re not a proficient Spanish speaker. Most important, though, is that there is no sound like the English “v” in Spanish, although Spanish uses the “v” symbol in writing. The Spanish sound which English speakers may hear as v in a word like Havana is actually the “soft b” sound. The problem with g is similar to that of d and b/v. There are two varieties which are the same from the Spanish point of view, but noticeably different from the English point of view. We will call them “hard g” and “soft g”. The “hard g” is almost the same as the initial sound of English words like go, get, got, guess; the middle sound in ago, again; the final sound in tug, tag, tog. The “soft g” is a sound that is approximated rarely in English, in a word like “sugar”. It is produced by raising the back part of the tongue up toward the roof of the mouth as though to make a “hard g” sound, but without allowing the tongue to touch, so that the air is free to pass through with a slight friction noise. Even though both English and Spanish use the same r symbol, you should understand that there is little relationship between the sounds it represents in English and Spanish. Any attempt to transfer the English r sound to Spanish will result in a sound that is unidentifiable in Spanish-speaking ears. You have already had a session of drill work on the difference between r and the variety of d that appears between vowels in words like todo and toro. Now we come to the difference between the single r (which is very similar to English tt or dd in words like cottage, better, wader, shudder) from the double rr. The double rr is a rapid trill of the tongue-tip, and it can usually be learned only by careful imitation. The following drill is to help you hear and learn to reproduce the difference between the two kinds of r. Many native English speaker struggle with the trilled R sound. If you find yourself unable to reproduce the trilled R, try these 6 exercises designed to teach you how to roll your Rs. Not only is the Spanish r very different from the English r when it occurs between vowels, as in the preceding drills, it is also quite different in association with consonants. Take the Spanish word tarde, for example. Your first attempt will probably sound something like the English words tar day. If you will try to make it sound more like totter-they (spoken rapidly) it will come pretty close to the Spanish pronunciation. The following drill will allow you to practice r in all combinations with other consonants. Whenever r occurs at the very end of an utterance (not necessarily the end of a word, but the end just before a pause), and especially when that final syllable is a stressed syllable, it has a different pronunciation from what is heard elsewhere. It is more like rr, but the vocal cords do not vibrate (produce sound) during its production. The effect is almost like combining r with s, except that the tongue-tip remains up at the end. This sound can be practiced by imitation of the following words. It was mentioned earlier that in English there are at least two conspicuously different kinds of p sounds: the pof pin, pill; which has the puff of air called aspiration; and the p of spin, spill; which has no aspiration. The Spanish p is always produced without aspiration. One way for an English speaker to get at the mastery of it is by thinking an s before Spanish words that begin with p in order to transfer the English pattern of producing unaspirated p after s.
The following list will give you a basis for comparing the p sound in the two languages and learning to reproduce the difference. The t problem is like the p problem: in English it is aspirated, in Spanish it is not. In addition, the tongue touches a point that is more forward in the mouth to produce a Spanish t: it literally touches the back side of the upper teeth, which it does not do in English. If you have mastered p and t, the “k “ sound will be a breeze since it involves again the aspiration issue. Note that the letter “k” is almost never used in Spanish, and only in words of foreign origin. The only fairly common examples are words referring to the metric system (kilo, kilógrama, etc.) and whiskey. Spanish has an s and a z, but unlike English they are considered as variants of a single sound, “s”. That is to say two words in Latin American Spanish are never distinguished solely by the difference s- z, as are the English words seal and zeal. In Latin American Spanish s, z and c (in some cases) are pronounced alike. In some dialects and styles of speaking Spanish, another variety of the “s” sound occurs. In some Caribbean and South American dialects, the “s” sound, particularly at the end of words, becomes something very close to the “h” sound in English. This sound is particularly pronounced in the Chilean dialect; in much of the Caribbean it is so faint as to appear to have disappeared entirely. The “s” sound is not dropped entirely, although in the case of speakers from the Caribbean Basin it may sound as if it has been. You will notice that the “z” sound occurs in Spanish only in a syllable-final position before a voiced consonant, namely b, d, g, m, n, l and r. Everywhere else, the “s” occurs, except before semi-vowels (y and w) where both the “s” and the “z” sound occur, depending on whether the syllable begins with the “s” sound or with the semi-vowel. Since there is no choice on the part of the speaker–only one or the other appears in any given situation, but not both–they are not in contrast and belong to only one basis sound unit. For most people, it is a good idea to learn the “s” pronunciation as it is on the audio that accompanies this program. It is the most common, and is perfectly understood and not considered “incorrect” anywhere. One thing to remember: the “h” variant never appears for the “s” sound at the beginning of a syllable. There are certain groups of words in which the “s” sound will bother you more than elsewhere, because the words seem familiar and may lead you back to the English “z” sound. Some of these are below. L in English is a sound that is produced by raising the tip of the tongue up to touch the roof of the mouth in such a way that the air column is forced to pass around either side of it: this way of producing a sound is called lateral (i.e., “side”) articulation. In Spanish, the L is actually a laterally released d, and it has a very different sound from the English L. If you will try to follow by manipulating your own tongue, a technical description will be helpful: produce a d as in the word did. Notice that to make the “d”, you release the whole tip of the tongue so that the air can flow suddenly out across the top of it. Now instead of releasing the entire tongue downward, keep the tip locked in its d position at the end of the word did, but release the air through one side as though you were going to say the word diddle, but without lowering the back part of the tongue as you would in diddle. If you have followed these instructions, you are producing a close approximation of a Spanish L.
Compare the following word pairs which are approximately alike except for the l sounds, and try to imitate the difference. The Spanish “n” sound differs from the English sound in that it is usually produced against the back of the upper teeth, instead of on the gum ridge above the teeth. In this respect it is similar to Spanish t and d. The correct articulation of n is not too difficult for English speakers, but there are a couple of combinations of n plus another consonant that create problems. The close yoking of nt in English in words like the ones above does not happen in the pronunciation of Spanish nt, where the n is clearly pronounced through the nose before the t begins. The sounds represented by the y in Spanish have two variants which are obvious to the English ear because they are like two entirely separate sounds in English. The most common pronunciation is almost exactly like the English y sound, however, the pronunciation of the y can vary from something similar to the “zh” sound in French to something sounding very like the j sound in English. Note that sometimes the y sound is spelled with hi in Spanish (which almost always will use the standard “y” pronunciation rather than the “zh” variation). In the English words below, either of the two words on each line begins with a sound that is equally likely to occur in the Spanish words (some of which aren’t really words, but just syllables to illustrate the pronunciation) in the right hand column. There is a final “pronunciation” issue which frequently causes problems for English speakers. That is the issue of intonation; the rise and fall in pitch of the voice in speaking a phrase or sentence. The intonation of phrases in Spanish follows three main patterns. The exercises below are on these three patterns. Note that Group I (falling pattern) includes commands, declarative phrases, and some questions (those that begin with an interrogative word – cómo (“how); cuándo (“when”), etc.) Group II (rising pattern) are all questions. Group III (ending in a low level pattern) are declarative, in the examples given mostly simple responses to questions. Repeat the phrases, paying particular attention to the intonation of each phrase. 1 Venga acá. 12 ¿Cómo le va? 2 Claro que sí. 13 ¿Quienes son? 3 Son las tres. 14 ¿Qué le pasa? 4 Llega en avión 15 ¿Cuándo llega? 5 No lo creo. 16 ¿Cuanto cuesta? 6 No me importa. 17 ¿Qué comemos? 7 Viene mañana. 18 ¿De dónde son? 8 Llegó María. 19 ¿Para dónde van? 9 Aquí se baila. 20 ¿Por qué se fue? 10 ¿Cómo está? 21 ¿Por cuánto tiempo? 11 ¿Dónde está? 22 ¿A cuánto estamos? 1 ¿Ya se va? 7 ¿Le gustó María? 2 ¿Quiere café? 8 ¿Leyó el diario? 3 ¿Vino con usted? 9 ¿Tienen otro? 4 ¿Comieron ya? 10 ¿Le paso la leche? 5 ¿Tiene un lápiz? 11 ¿Trajo su carro? 6 ¿Se va conmigo? 12 ¿Le gusta su trabajo? 1 Gracias, señor. 7 No. Muchas gracias. 2 Muy bién, gracias. 8 No viene entonces. 3 Si, señora. 9 Sí, papá. 4 No, señorita. 10 No, mamá. 5 No hay, hombre. 11 Adiós, señores. 6 Venga María. 12 Hasta mañana, señorita. 2. All of the audio exercises from this Guide in a single zip file.